We’re offering up a list of 1038 Amazon niches 2018. Keep reading to learn how we came up with the 1038 Amazon niches 2018 list. Or get the list now by entering your registering below. Inspired by the fantasy of HBO’s Westworld, I have been looking for my own adventure in a maze for the past week. And I have found the perfect adventure: find a profitable niche to take a slice of the (huge) pie that is profits from selling on Amazon FBA. 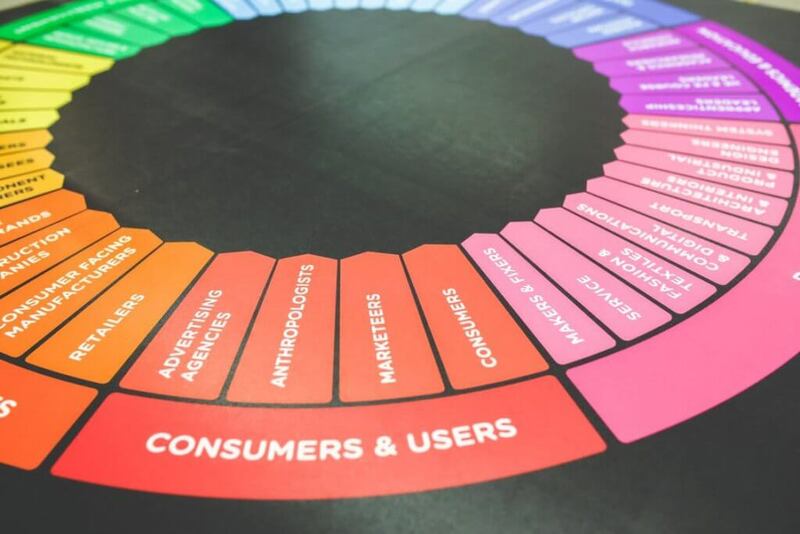 If you’ve spent any time researching for a product or niche with high-growth opportunity, you will understand how finding a niche parallels a maze in many ways: numerous dead ends, false leads, highs and lows, excitement and the unknown. It is a worthwhile journey though, because if you solve the puzzle and get to the end of the maze, you are rewarded with treasures. A related set of physical products that you can profitably sell online, an existing customer segment that you can market to, and many other methods of monetizing the niche. In this post, I want to take you on the journey I took to identify a few potential niches that have potential. But more importantly, I want to share the methodology and strategies for finding niches on your own. Even if you don’t read through some of the details, make sure that you at least skim to the list of 283 niche topics included below, or download the 800+ niche ideas to build on this year. Now updated for 2018! What is a niche and why should I care? 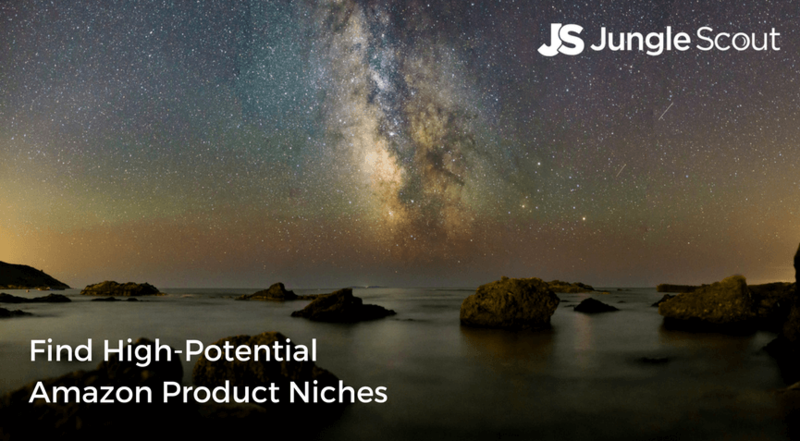 A niche is tightly defined market segment that has a similar trait in common. That’s all. Whether it is a common interest, location, demographic, or problem, this group of people share one commonality that allows them to be readily identified as a unique sub-section of a market. A niche is tightly defined market segment that has a similar trait in common. There are many ways to slice up a market and create a smaller sub-market to make up the niche. If you are able to layer various behaviors and interests to help you define your niche, the easier it becomes to target. There are infinite ways to slice and dice a given market to create a niche. Which means there are plenty of opportunities for ecommerce businesses, even when competition is high. Kevin Kelly, founding Executive Editor of Wired magazine, answers this succinctly in his essay 1,000 True Fans: you only need 1000 true fans to be a successful creator. One thousand people is not a lot of people to gather on the internet. Ideally, for our quest to find profitable niches, we may want to identify more than 1000 people who are interested in the given topic. However, when finding that profitable niche, more is not always better. It actually a balance between finding sufficient demand, yet limited competition. So let’s get moving on generating some ideas. Sufficient Demand: enough people searching for the product where we could realistically sell 5-10 units per day. Not overly competitive: we want to ideally find something that is obscure enough to not have cut-throat competition. Physical product opportunities: Our main priority is finding a niche that has a related physical product that we can sell on Amazon. 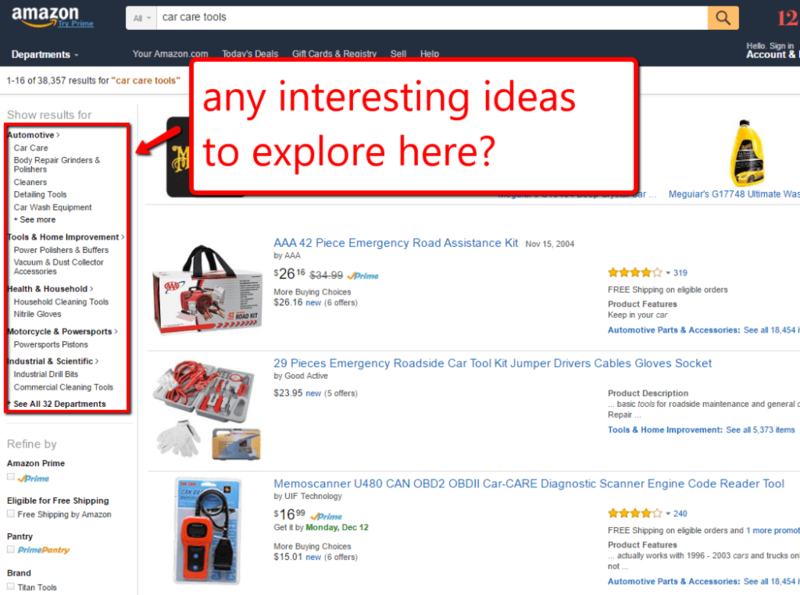 For a brief overview, Greg highlights 7 steps to finding a great product to sell on Amazon in this 4 minute video. Or if you have more time (like an hour and 17 minutes), it is worthwhile to watch this in action. This is actually the session where we generated new ideas, and ultimately came across the niche of “bamboo marshmallow sticks”, which have sold $200k in its first year! If you are talking about online forums and communities, the conversation has to start with Reddit, the so-called Front Page of the Internet. For those who don’t frequent Reddit, it is a (fascinating) group of individual forums, called “subreddits”, that are focused around particular topics. This is a money way to find some great niches. The assumption here is that these subreddits are potential customer niches that would purchase a product on Amazon, if it addressed a need or desire. Reddit has an overwhelming number of subreddits. To make it easier to sift through, there is a helpful overview of subreddits organized by topic here. Even from looking at the summary of the subreddits, there are some great ideas. Just looking at the screenshot above, in particular the /r/homestead topic, there are niches around: aquaculture, wildcrafting, wood stoves, welding, green woodworking, and a bunch more. Straw bale homes? Call me a naive city guy, but not sure I’d want to live in such a fire hazard! Next, let’s pull up a few of these products within the Welding niche to see if there is potential. Using Jungle Scout, we can get an accurate estimate of the monthly sales volume to see if there is in fact demand for the product, and look at the number of reviews to see if there is room in the niche for a new seller. Looks like good demand, based on the estimated sales for most of these products. I don’t know anything about this niche and the main brands, but I would be curious to research Hudson Durables and Lincoln Electric, which look like they get a bulk of these sales (judging by the #6 and #7 results). Not nearly as many sales as for the Welding Apron results above. Does not look like a very competitive niche, looking at the top sellers and the number of reviews they have. A wide range in price, from $6.99 all the way to $69.95. Looks like there are some good products within the welding niche as a whole, would be worthwhile to dig around and learn more about what welders have to say about these products. 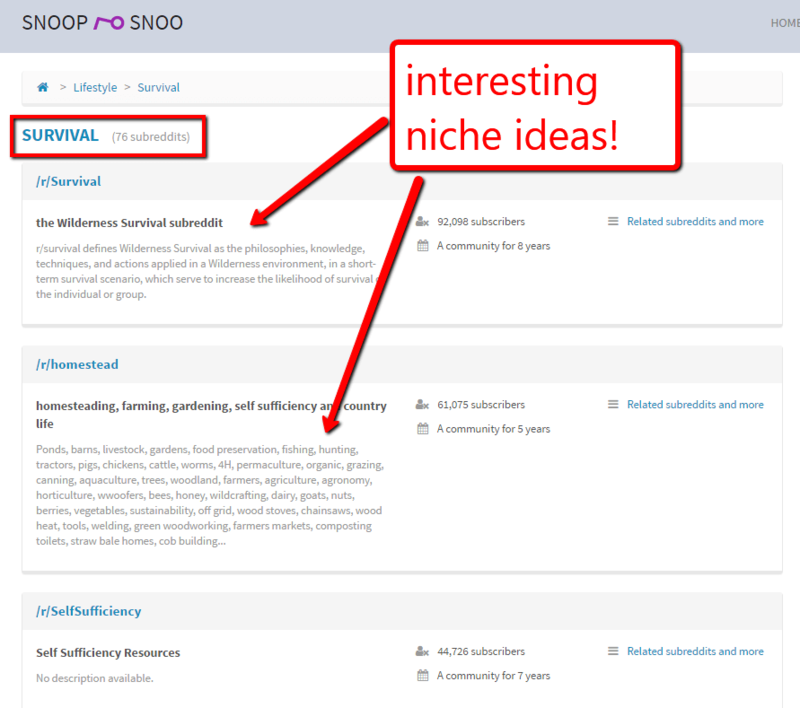 You can repeat this process by finding niche communities on Reddit, explore the topics and products that are covered, and see if the niche has any product opportunities. Identifying niche websites is another great way to uncover opportunities for Amazon products. As we are looking for niches that we can use to sell products on Amazon, we will filter for sites that monetize with Amazon, ecommerce, and dropship. This ensures that there is a greater likelihood that there is a related physical product for the niche. If we look at these websites, is there any potential for product or niche ideas? If we take a look at these websites, can we figure out which products are their money-makers? The sales for products that come up with “magnetic support back brace” are not huge. Maybe we should try with more generic search terms, like “back brace”, “back support”, or “lumbar support”. Would there be more demand and still manageable competition? There are some low-priced items here. Is it a race to the bottom with pricing? There are a fair number of lower rated products in these top results. Is there an opportunity to offer an improved product? Looks like there are a few sellers that take up a bulk of the sales for this keyword. Some products belong to the Home Improvements and Patio, Lawn, & Garden category. Is there another application of “detailing” that doesn’t relate to cars? Is there enough demand to make it worthwhile to look into this further? Not a lot of demand overall here. You can cycle through this process of identifying niche ecommerce sites and cherry-picking the best selling products and check if there is still an opportunity on Amazon. As you can see, sometimes you might spot a diversion or come across even more ideas, like “detailing” within two seperate categories. I’m not sure that the two products that we briefly looked into, Magnetic Back Braces and Car Care Tools, fit the profile of significant demand with limited competition. However, we could certainly take some time to dig into the niche more, maybe find some additional related ideas or even more specific products in the niche. OK, so that Flippa methodology may be a fair amount of legwork for some underwhelming results. Not enough juice for the squeeze, as they say… what if we could just find a bunch of popular trending blog topics straightaway, and go from there? Well, surprise surprise, we can! 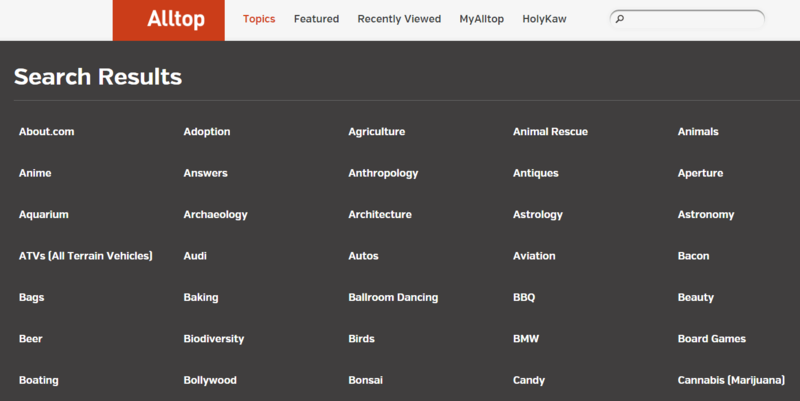 Alltop is a blog aggregator that organizes blogs by topics. While Reddit is a bunch of forums organized by topic, Alltop is a bunch of blogs organized by topic. Hopefully this will help you in your niche search. A list of 238 niche topics, all of which I pulled from Alltop. If you want to download this whole list, and 800 high-potential niche opportunities from the Niche Hunter, now is your chance! 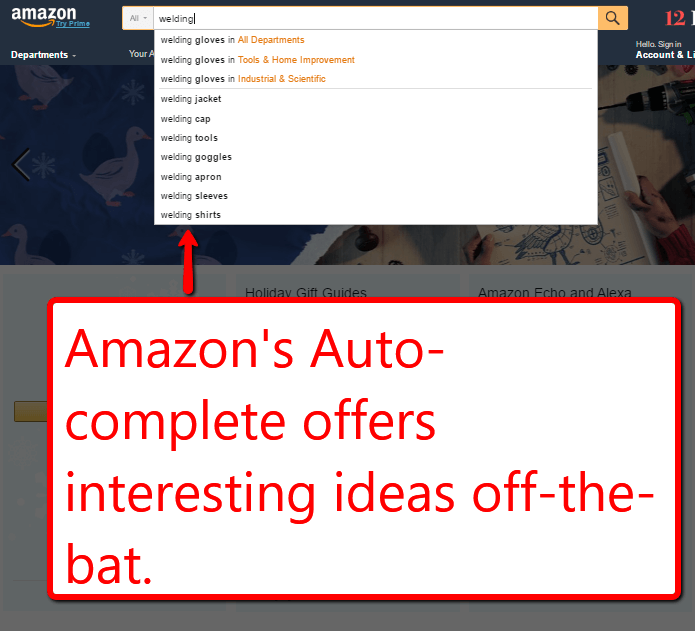 You could pop in the keyword into Amazon, like we did in the examples above. This is a good way to identify some niche product ideas. There are some great free keyword tools out there that will offer ideas based on what people search for. These include ubersuggest, keywordtool.io, and LSIGraph. Jungle Scout’s Web App and Extension provide this sales estimate, and the Sales Estimator is a completely free way to get this information as well. So let’s dig in to a few of these niches to see what ideas we come up with. I’d like to pull out a few that have devoted communities and probably has some products or accessories associated with it. There are actually a bunch that fit that criteria, let’s try Needlework out for size. And onwards. Let’s just jot some of these potential niches down to explore later. 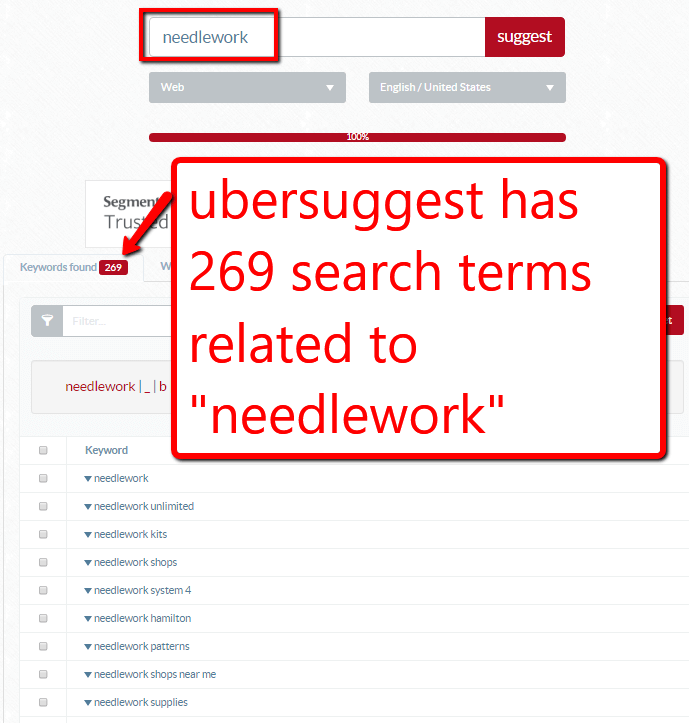 What does Keywordtool.io have to offer us regarding “needlework” related ideas? 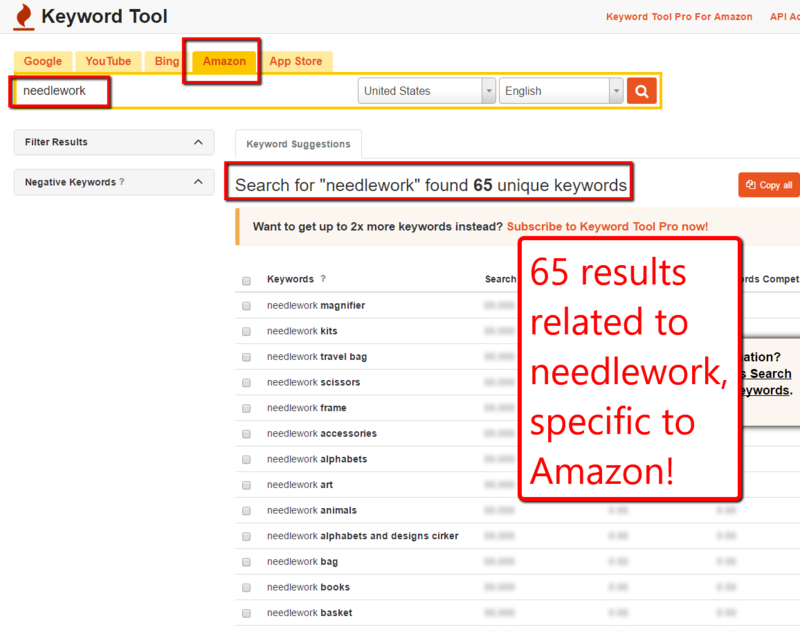 The cool feature about Keywordtool.io is that it has a list of searches specific to search engine, including Amazon. This means that the Amazon search results will be related to physical products and have some purchase-intent. Are there any helpful leads there? And some other good ones. We’re on a roll, I have the sense that we are moving towards the center of this maze! Bingo! 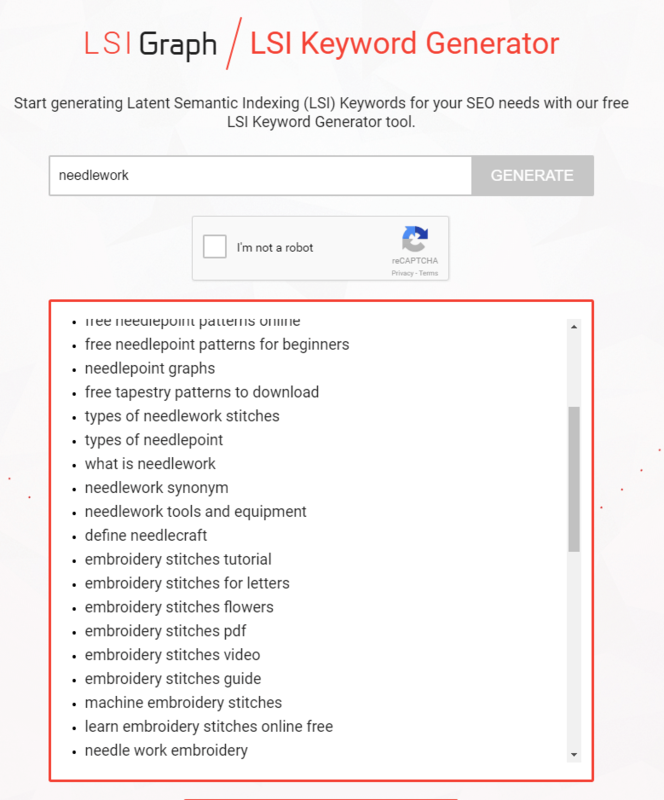 LSIGraph shows us a bunch of search terms, in addition to related niches like, “embroidery”, “needlepoint”, “tapestry” and more. 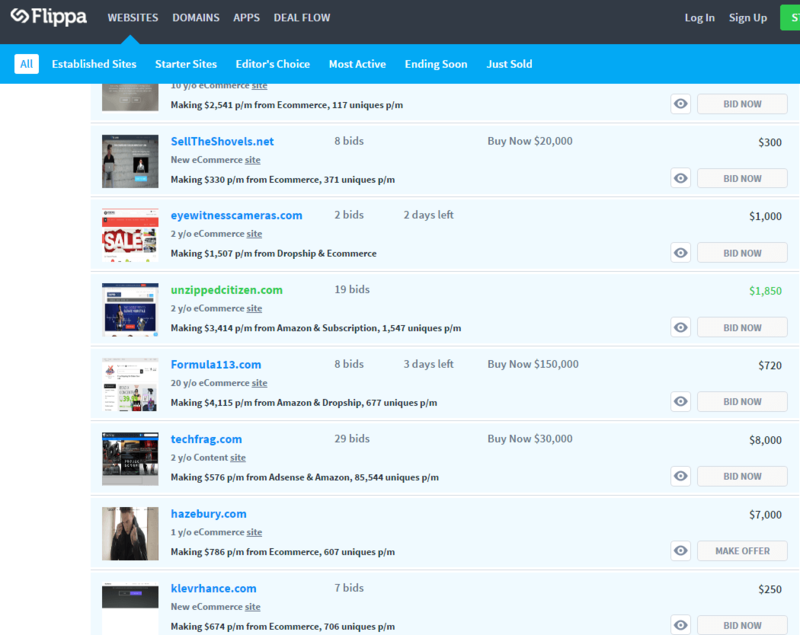 I could cycle through Ubersuggest, KeywordTool.io, and others (Keyword Tool Dominator also has an Amazon-specific search functionality) and get additional niche and product ideas. So we have zig-zagged through a bunch of potential topics and niches, and started to compile a decent list. But is there anything better than a one-click solution? With Jungle Scout’s Niche Hunter, we have collated millions of data points and sales trends to identify 3 million niche opportunities on Amazon. To make the sorting even easier, we have organized these niches by category, and various attributes like units sold (per month), price, keyword, and more. There are also proprietary algorithms to make it dead-simple, quantifying a niche by the its opportunity, its competition, and how strong of a listing it is. We have gathered 800 niches that show great potential going into the future, in addition to all of the niche topic ideas listed from Alltop. Niche Hunter makes it super easy to make an assessment with a quick glance. Color coded monkeys show the potential for various metrics, including units sold, competition, listing quality, and opportunity score. If you click into a particular niche, you can get more information like the top 10 products ranking for that keyword, a graph showing how those sales are distributed among those sellers, the price, additional related keywords, and more. I’m not sure that I like this in particular, as it is a food product (meaning qualifications are necessary in order to sell on Amazon), and there are household names at the top of the search results. But maybe there are other teething-related items that are physical products that we could explore? That is the fun of the Niche Hunter–great ideas to start a winding exploration into various hidden niches. Great, you have had more than a thousand niche ideas thrown at you. How do you actually determine whether a niche (and the products that make up the niche) are worth your efforts of launching a product? The answer is simple: analyze the existing demand and interest in the niche. First, let’s just see if people are actually searching for the niche idea. 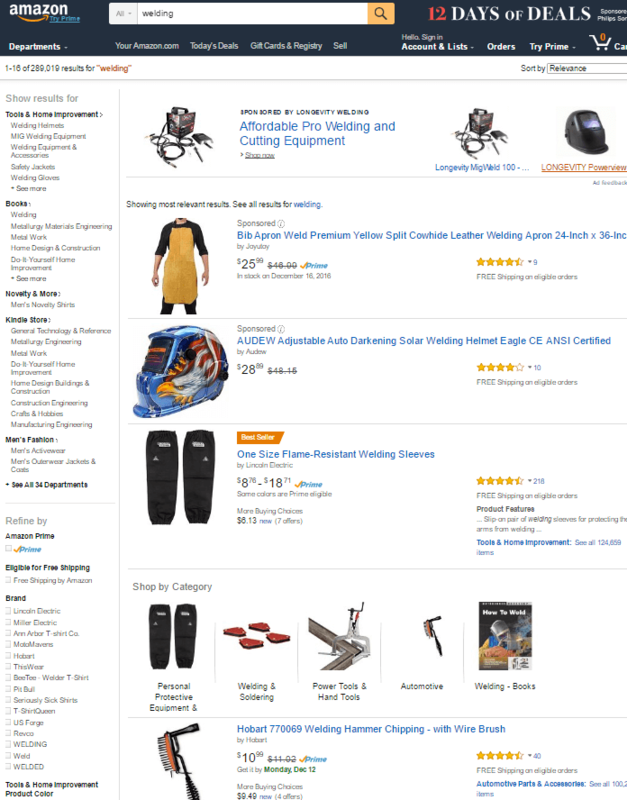 At the moment, there is no reliable tool that offers search volume on Amazon. If a company claims that they have such data, raise one eyebrow and backpedal slowly. It is a ruse. Google offers a free Keyword Planner (data is limited unless you advertise and spend above a certain threshold). You can access it in your AdWords account. 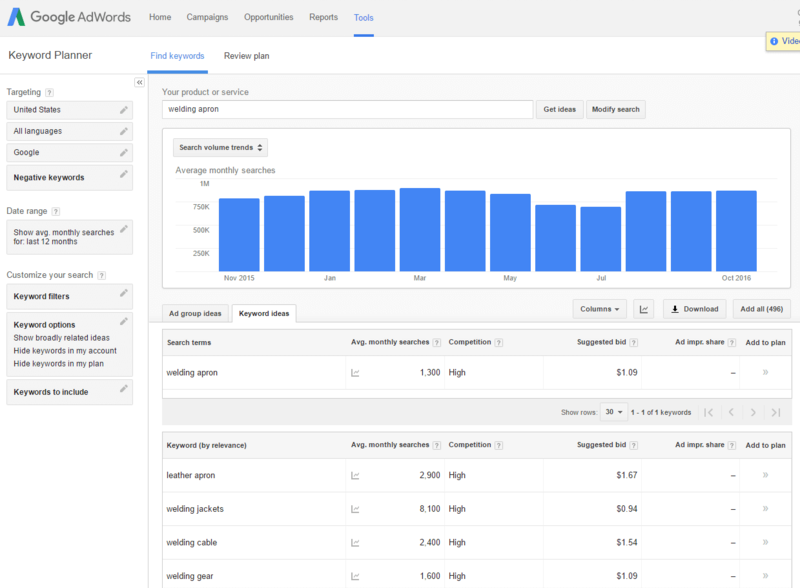 Once you enter in a keyword or two, Google will provide an estimated monthly search volume for the keyword, and related keywords. Be wary though, as Google is known for keeping some data undisclosed, and the main intent of the Keyword Planner is to get advertisers to spend money. 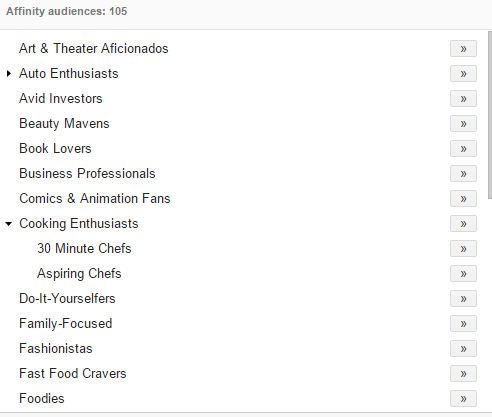 Regardless, let’s just take a look at Keyword Planner for “welding aprons“, one of the ideas that we had above. As you can see, Google says that there are an estimated 1300 searches for “welding apron” in a month. 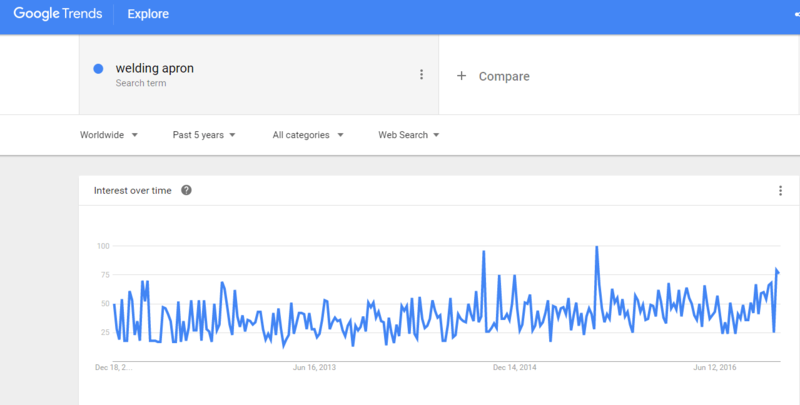 Additionally, Google provides related search terms, and the estimated monthly volume for those as well. This is helpful data to assess general demand, and also uncover some related terms. Keyword volume is great, but it is ultimately just a proxy to figure out how many sales are made for a given niche. So let’s just cut to the chase and try to figure out how many sales there are for a product keyword. 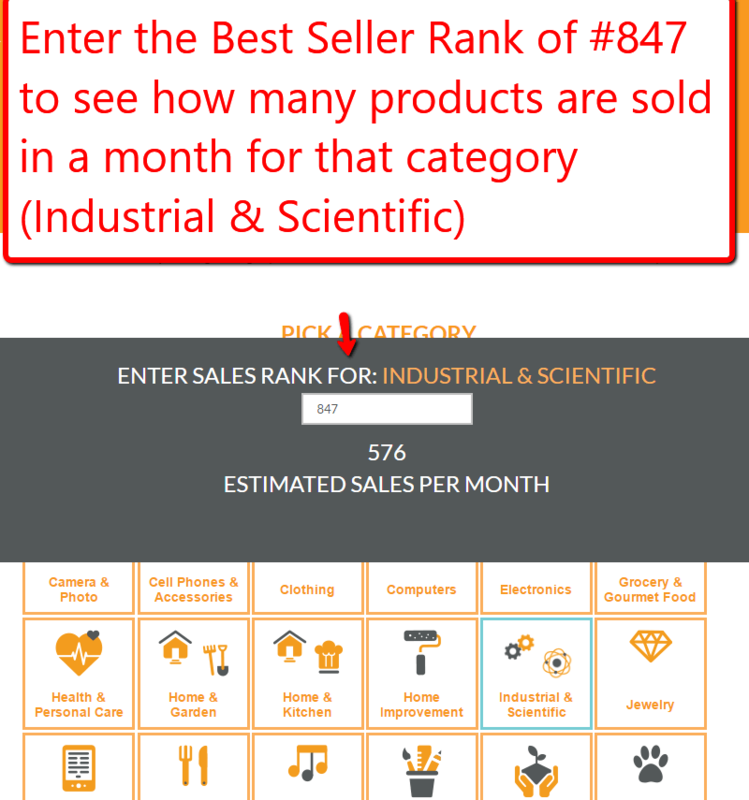 A free alternative to this can be done by piecing together estimated sales by looking at the Best Seller Rank for some products in a niche, and popping it into the Free Jungle Scout Estimator. And once you have the Best Seller Rank, you can just pop it into the Estimator for the given Category, and out comes the Estimated Sales for the month. For free. Voila! If you have made it this far, there is a good chance that you are meant to get to the end of your Niche Hunt maze–go you! Once you have found a niche that works for you, how do you take advantage and make money from it? There are numerous opportunities, each with its own merits and challenges. But remember Kevin Kelly’s words, you only need 1000 true fans to really make a business work for you! Do you have any other techniques for finding niches that I didn’t address here? If so, please drop them in the comments! Remember, there are nearly infinite ways to slice and dice a niche, it is not a zero-sum game. So there is a profitable niche waiting out there, just for you! High content, powerful techniques I enjoyed. Its very helpful for finding the profitable niche from this list. Very detailed article. Thanks for help with this article. Нeⅼlo, I enjoy reading all of youг article post. I wanted to ᴡrite a little comment tօ support үou. The weirdness (wealth) that’s WC is annoying. 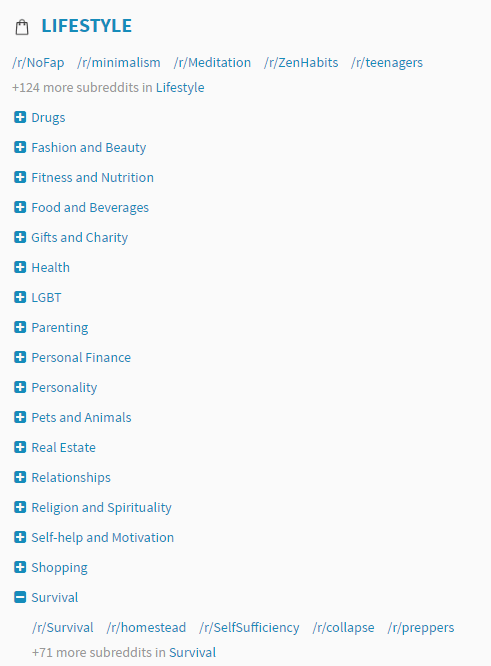 I downloaded amazon niche list and in that so many categories, you have given like clothing, toys, games, health, kitchen, garden and much more.I am impressed by the generous information given on keyword research and niches.Thank you for sharing this amazing and huge list. It will help for bloggers. Honestly, i am impressed by the generous information given on keyword research and niches. There are courses out there teaching such stuff a few grams. I am just thinking out loud. What would the outcome be if we do kW research first and followed by amazon data? Thank you very much for your candid reply. We found that when we tracked our products with Product Tracker, the data is closer to our real situation. However, when tracking our competitors, we found that the data of Product Tracker and Chrome Extension are not the same. Why is this? I like your products very much, bought and used them to track our own sales on Amazon, but found that the data provided by your product does not match our actual sales. How is this happening? What is the source of your data and why is it so different? We have tracked some products with your product and are now going to launch. Now it’s a bit worried about this data! Thanks so much for reaching out about this, as I understand how frustrating it can be when estimated sales appear to be off…particularly when comparing them to your own sales. Because the data you see in Jungle Scout represent estimated sales for a given period, and not actual sales like you’ll see in Seller Central for your ASINs, the estimates in Jungle Scout will vary across time. Seasonal trends, slower selling periods (such as Q1 and Q3) can also affect product sales estimates. Thank you very much to share this information. I know there are a lot of untapped niches out there that sellers will be finding gradually. Also, I should add that keyword research is the best way to find hidden and yet profitable niches. In the part where you say you would Google Brands that you are not sure about. what exactly are you looking for? I found a potential product that does have a brand that is established, but their website is terrible and I believe there is room in the market for a new brand. Just make sure you back it up with data. Sometimes, it can seem like there’s not much in the market, but when your product actually hits the market tells you a whole other thing. The best way to enter a market is to go after a niche and just attack the heck out of it. Make sure your project can stand on its own two legs, too. Simply copying-and-pasting what exists won’t help you. It’s got to stand out and solve a problem, too. I downloaded amazon niche list and in that so many categories, you have given like clothing, toys, games, health, kitchen, garden and much more. Thank you for sharing this amazing and huge list. It will help for bloggers. Thank you for the amazing guide. It is very easy to follow and thorough. Sorry for the silly question but when you say ‘sell on amazon’ you are referring to affiliate marketing, right. Meaning that you are not actually selling the product but rather linking to it on Amazon? Are all the products in your niche list available for download suitable for creating an affiliate marketing blog? Nope, we mean sell on Amazon. Most of the products you find on Amazon are from, believe it or not, regular folks like you and me! In fact, that’s what we here at Jungle Scout specialize in is showing people how to sell their own private label products on Amazon. All of this stuff is free. 1) When gauging the competition in terms of reviews do you ignore the sponsored items at the very top in Jungle Scout? Regarding your rule with the Top 5 sellers in the list with one seller below 50 reviews and in the Top 10 with a few sellers below 50 to 100 reviews? I know that sometimes the sponsored ones show up on the first page anyway. Sometimes they don’t. How do you deal with those sponsored items for your research? 2) What does it mean when I found an item that is being sold looking very similar in terms of the actual product design and configuration across the whole first page with generally a high demand in JS and this continues to the search result pages 1-4. Is it a good idea to sell this item or a bad idea? Or does it mean nothing? 3) What does it mean if I found a good item by the numbers in JS but the prices on the first search result page are not exactly consistently 20 dollars. Most Items are lower and only a handful are $20. 4) In the scenario above what difference would it make if the items for 20 dollars are the ones making the most sales? Hey David, Let me help answer those! However, you might also want to do a quick check in Amazon by searching for some keywords and seeing what sponsored ads to appear. This is a nice sense check to find out if any of your potential competitors are utilizing Amazon PPC or not. The $20 retail price is just a guide. Many sellers will sell items at a much lower price and go for lower margins but higher sales volumes. The main thing is to understand your profit calculations! Make sure you head to our Million Dollar Case Study, you can follow along the whole process. hi, thanks for the great article. once you have found a niche & a potential product to sell on amazon how would you recommend going about sourcing the products to sell? Great question! The path most sellers take is to use alibaba.com to source their products. If you’re not familiar with Alibaba, Alibaba is a website similar to Amazon (in fact it has a very similar layout) that connects business owners like yourself to manufacturers, wholesalers, and suppliers overseas, typically China and India. Alibaba’s been around nearly as long as Amazon and its put a lot of safeguards in place to protect its users including Trade Assurance (kinda like Amazon’s A-to-Z Guarantee program), Alibaba EChecking (their version of PayPal), Gold Assessed and Third Party Assessed Suppliers, and information on profile age of the vendor. The protocol I typically follow when sourcing a product is to head to the Alibaba’s website and search for an item. Say that the product you’ve found is “fidget spinners”… I’ll go and type in “fidget spinners” into the search bar. From there, multiple options will pop up. Many will even have images of products you’ve seen on Amazon! The other way to find products on Alibaba is to submit what’s called an “RFQ” or request-for-quote. Instead of doing a search, you submit a proposal for the type of product you’re looking for and the vendors contact you with quotes, details, and more. Often I will do a combination of both methods to get the best results. Hope that’s helpful! And definitely check out that article! Good luck with you and please let us know if you have any further questions. I always thought affiliate marketing is the toughest thing to do . But anyhow I have started one niche site for affiliate marketing . I am learning new things about affiliate marketing. I think amazon is perfect for any marketer. I am using it but I have not made any sale . I am hoping for it. Thanks for sharing all the niches. Amazing post . No question is a dumb question. After six years on Amazon, many of my successes and failures were accomplished by trial and error. Jungle Scout has given me confidence in adding new products and deleting ones that aren’t the best fit. Thanks for the kind words, that’s so exciting to hear! Sorry for the delayed reply….. The metric of “low competition” is simply a proxy to determine how many reviews other sellers have for a given keyword. “oxford shoes for kids” can be a slightly challenging niche to pursue based on the variety of colors, styles, sizes, genders. hope this helps! Hi..great post..I have red and made some references …. so if I can ask.for your advise how can I make money do I need a Web site or shall I just use amazon as an affiliate. .and another question how do I get paid..? Do I need to apply for a PayPal account..in order for people to pay for products ? Please.advise your help would be much appreciated. ..
Once you find a niche, you could become an affiliate, or you could become an Amazon seller and sell physical products. how come I have to enter my email address to download the list? and when I enter it , it says enter a valid email address… when it is the same one I used for the site, and it IS a valid address. so I can’t download the list. and why do I have to enter my email anyway… ??? just let me download it. Sorry for any issues accessing the list. I sent you an email so that you could access the list, please let me know if it did not get to you! Thanks for the list. It will be great if you can explain to us what the number means in each column. a. competition? the bigger number the more competition? b. list quality? the bigger number the better? c. opportunity score? the bigger number the better? C) The opportunity score is an aggregate factoring in demand, competition and listing quality. You are right, the higher the score, the more opportunity for sellers 🙂 A lower score could mean low demand, high competition or a combination of these things. Hope that helps – thanks for asking such a great question.